A bedroom serves many purposes: relaxing, dressing, sleeping and so much more. In order for these daily activities to be as enjoyable as possible, having the proper bedroom furniture is a must. 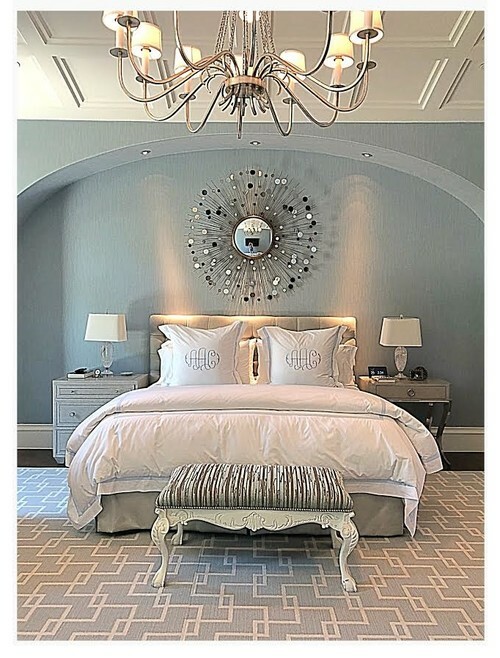 Beds, dressers, armoires, and nightstands are the necessities that make up typical bedroom furniture sets, and while it certainly can be convenient, don’t feel obligated to buy them all in one matching set. Read on for more bedroom furniture tips. After a long day, most people crave the comfort of a warm, cozy bed. You spend eight hours a day sleeping on it, so it should be above all comfortable and functional. That being said, beds are also the centerpiece of your bedroom, so it should be stylish and set the tone for the rest of the space. Whether you’re looking for a platform bed, canopy bed or sleigh bed, there are beds out there that will complement your space. What size bed should I buy? When determining the size, you need to think about who will be sleeping in the bed, as well as what will fit in the space. In terms of the former, whether you’re sleeping solo or with someone else, consider your preferences and how you sleep. Height is also an important consideration: there’s a 5-inch length difference between standard full and kings. Even if a king seems like your optimal choice for sleeping, carefully measure your room to be sure it’s going to fit; queen size may be a more viable option. You want to be able to walk comfortably around the piece and have easy access to your surrounding furnishings. Should I buy a platform bed or sleigh bed? There are many different styles that you’ll need to consider. First, determine your preferred style. Do you like contemporary or traditional? Eclectic? This will help you decide on a final purchase. For a traditional option, try a sleigh or canopy bed. If you like sleek modernism, opt for a platform piece or just a simple bed frame. Material alone can also make a difference. Beds take up too much space — what else is available? Need an extra sleeping spot but have nowhere to put it? Opt for a Murphy bed, which is conveniently stored up against the wall and can be turned down only when needed. Or maybe buy a trundle bed, which takes up the space of a twin — with another twin underneath. Don’t have room for any of these options? Futons and sleeper sofas are always a popular alternative. Dressers and chests are key pieces of bedroom furniture, providing much-needed storage for a neverending clothing collection. If you maintain a capsule wardrobe, one bedroom dresser might be enough while others might require two or three. Although your bedroom furniture is need-based, it’s also determined by the space in your room. What’s the difference between bedroom dressers and chests? A chest is a tall, vertical stack of drawers, often referred to as a chest of drawers. A dresser is a wide set of drawers with a lower profile. The layout of your room will likely dictate whether you should be shopping for a chest or dresser. A tall chest of drawers works well with limited floor space while a long dresser may be better suited for those with the desire to use the top surface as a shelf to display decor and personal items. Even though you want to have plenty of space for clothing and accessories, a large dresser in a tiny space could prevent you from maneuvering around your own bedroom. Jot down dresser dimensions and map out where it might go before you buy. Consider not only the dresser’s footprint but also the space surrounding it that you’ll need to open cabinets and drawers. Also, think about the type of items you’ll store in each dresser drawer. Do you need a three-drawer dresser or a six-drawer dresser? Would you rather have several shallow drawers in a lingerie chest or open shelves for housing DVDs and game systems in a media chest? Despite being small and compact, bedside tables can make a big difference in your nighttime or morning routine, by adding a spot to place a lamp, plug in your phone or keep reading material handy. Besides offering storage, they also offer the chance to anchor your bedroom’s style. Whether a collection of modern nightstands has caught your eye, or you’re simply deciding between a black nightstand and a white nightstand, here are few tips to help you through your search. What size should my bedside table be? Consider the height of your bed as well as how much space you have on either side when choosing a night table. Ideally, you should be about level with it while laying in bed so that you can easily reach a lamp or your phone. 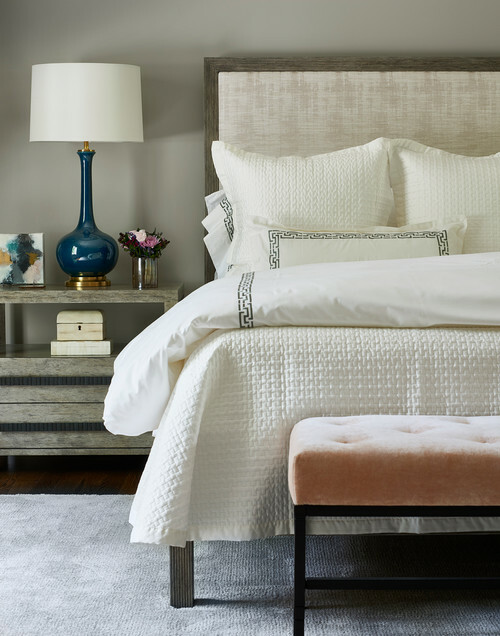 Tall nightstands elegantly complement more raised beds, while a short and small bedside table could be the perfect pair for a low, modern bed. In terms of width, you want the table to complement your bed, not overpower it or feel too small. In a compact apartment, a narrow nightstand can be just the right fit. Similarly, a floating or wall-mounted nightstand can save even more space by not touching the floor. The bedside tables don’t need to perfectly match the rest of your bedroom furniture, they should be a part of the same design family. What should I look for when choosing my new dressing table? Before you even begin shopping, consider how much storage space you’ll need and whether you’d like a mirror attached to your vanity table. Most dressing tables feature three to eight drawers, and you can purchase a vanity set if you require a mirror and stool or chair to sit on. Also, consider how certain styles and colors will fit in with the rest of your bedroom decor. Would a white dressing table pair perfectly with your traditionally-styled bedroom, or would you prefer a mirrored dressing table for a glamorous look? Vanity stools are the perfect way to incorporate seating into rooms with otherwise limited places to sit. They can range from compact and discreet to grande and eye-catching, but always seem to evoke a sense of old school Hollywood glamour. The most popular use for a vanity chair is coupled with a bedroom vanity, as a place to sit during one’s beauty routine — hair, make-up, the whole nine yards. If your daily routine doesn’t excite you, a new vanity bench or stool may be just what you need to make every day feel like a trip to the beauty parlor. Before you jump at the first gorgeous stool you find, consider all of the options detailed below to find a design you will love sitting on day after day. What type of vanity chair should I get? Vanity chairs are a great way to introduce an element of comfort to a room typically focused on function. However, you don’t have to sacrifice one for the other — it is possible to find both comfort and function in a vanity seat. Assess which of the following features are important to you, then narrow down your search accordingly. Padding: For maximum comfort, look for upholstered vanity furniture with padding in the seat at least. You’ll be able to sit there longer, and the fabric will soften your space. The best part about most upholstery is that you can change it down the road for a whole new look if you so, please. A removable cushion will make this easy but is not necessary. Backs and Arms: Typically, vanity stools do not have backs or arms. However, there are plenty of options available if you want a little extra support to lean on. Look for a vanity chair if you want a design with a low- to mid-height back. If you prefer the backless option, look for a vanity bench or stool. Keep in mind that having arms on any style will make the act of sliding onto and off of the chair slightly more tricky. Storage: For those of you that appreciate furniture with multiple functions, vanity stools with storage provide the perfect solution to keeping unused items off your countertop. Some designs give you the ability to store items in the seat itself, while others can be skirted to hide anything stowed beneath them. The latter may not be as practical if you move the chair around often. Height and Width: This is the least exciting of all the choices you will have to make, but is one of the most important. Make sure the height of the seat coordinates with the height of the table so that you can actually sit on it without jamming up your legs in an uncomfortable position, or having to sit far away from the table. Also be conscious of the width of the seat, so that you can slide it under the table easily when not in use unless you plan to keep it out on display. A bedroom bench sitting a great way to add style, storage, and a little extra seating. Bedroom benches make a great resting spot for throw pillows and blankets, a place to lay out tomorrow’s clothes, or a spot to put on shoes in the morning. They can easily become a great design accessory, too, since many come in eye-catching designs, textures, and colors. While the foot of your bed makes a great spot for your bedroom bench, you can also choose to tuck it underneath a window. A storage ottoman bench can go anywhere in your room and provide superb storage space for extra blankets and sheets, pillows, shoes and much more. Wherever you decide to place your bedroom storage bench, know that you have a myriad of sizes to choose from. An empire bench is a slimmer choice, while a fuller, wider upholstered storage bench works well in a wide-open bedroom space. Big or small, be sure to consider the height and width of your bed bench, as well, to be sure it doesn’t overpower any existing furniture. When you’re going for the bedroom furniture, always keep storage in mind; can that bedroom bench double as a blanket chest? Get creative and remember to be patient when it comes to finding the right pieces — so your perfect bedroom will take time.